Some of the top "leaders" of the Greens, Progressives, Climate Warriors, Pipeline Fighters are still attacking me, unfriending me, censoring me, & trying to get me banned from groups because they accuse me of "racism". NOTHING COULD BE FARTHER FROM THE TRUTH! At best they accuse me of having "blind spots" regarding race. They say I "don't listen" and the "people have tried to explain this" to me. This come across like arrogance to me, because I feel they are not listening to my perspective which I admit is unique. Here I will try to explain my views in this highly charged subject. I hope some of the people who have been involved in attacking, banishing, or censoring me because of these views will read this and reconsider. Let's begin with the language. I do not like the inaccurate word "racism", because race does not exist (in a biological sense). 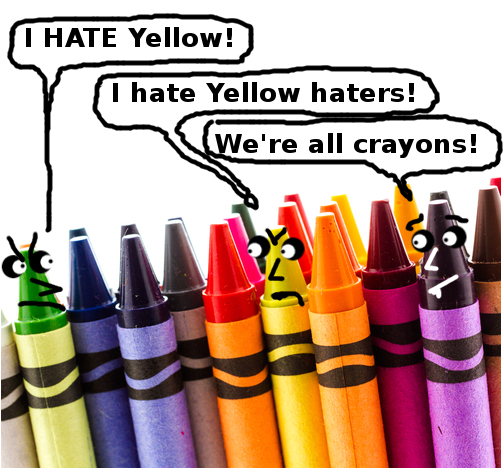 OK, YES ---> there are people who hate other people based on skin color, religion, national origin, gender, gender preference, gender identity, and many other reasons. But if we being with describing the problem in terms of a fiction, and then build from that, we are likely to get very confused. Nassim talks about how traditional Western Geometry starts with a fiction of a point. Then, builds on that to create fiction of a line. Then, builds from that to form a fiction of a plane. Then from there, we get 3D space... which is REAL! Nassim's greater presentation talks about many problems with traditional physics, and he traces it all back to this. IMO, there is VERY MUCH CONFUSION about the police violence, who is affected, what the problem really is and how it can be cured. Also the related politics of "race". We have been inundated with press stories for years about the "epidemic" of police violence against black people, mostly men, beaten or killed in cold blood and without trial. Rodney King, Amadou Diallo, Michael Brown, Trayvon Martin, Sean Bell, Oscar Grant, Eric Garner, Emmett Till, Sandra Bland..... many others. These are real people. YES: Their Lives Matter. Please do not misunderstand me. This is a HUGE PROBLEM! And I want to help solve it. TWICE as many Whites are killed in cold blood, without trial than blacks! But a similar argument could be made about police killing whites. 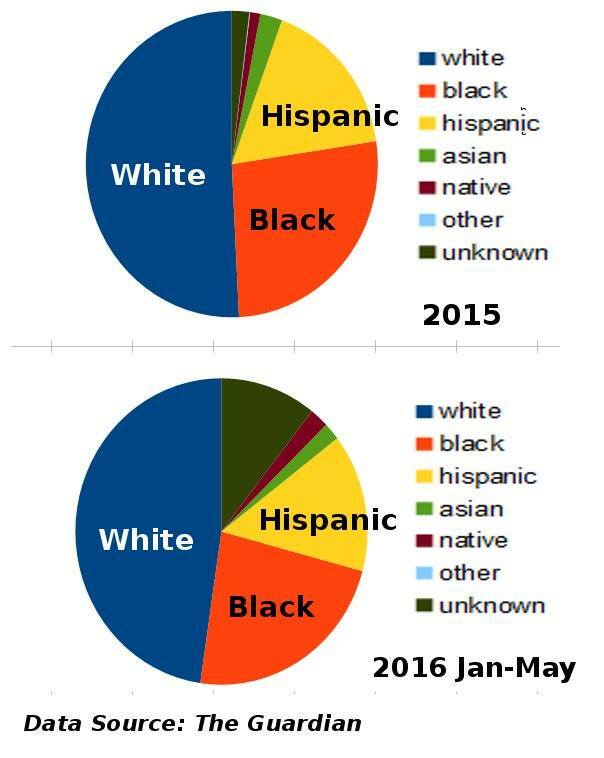 If you look at the raw data, more than 2x the number of whites are killed each year in the US than blacks. Numbers do not lie. So do the police kill more whites, or blacks? That depends on how you graph the data. While I can name a dozen black men and a woman who were killed by police, I cannot tell you the name of one white person who would executed in cold blood by police. Is this a problem? Should the press "say their names" too? Do their lives matter? And EVEN IF the number of whites and blacks killed by police perfectly match population rates, does this mean there is no problem? At what point do we start looking at the problem (and for solutions) of police summarily killing citizens in cold blood and without trial without regard to the color of skin of the victim? One example of this is so-called "racial profiling". The premise is that police begin by detaining people based on the color of their skin or perceived ethnicity. Even progressive news outlets like Democracy Now w/Amy Goodman buy into this framing. Their first story on this was in 1998, nearly a decade ago. But clearly this is not JUST a problem with skin color and ethnicity, as there are many people (myself included) who have suffered violence at the hands of the police. The accusation of "racial profiling" is a fiction, because race itself is a fiction. The accusation of "racial profiling" can never be proven (or disproven). When the police begin to accept that such a charge MIGHT be real, then they get very very confused, and start proposing remedies, as what happened with the "Binghamton Human Rights Commission", which proposed the government "ensure police keep track of the demographics of residents they stop". When we are looking into the appropriateness of a police action, and we focus on race, by defining the problem in terms of race, we might be inclined to think the solution has something to do with race. This is exactly what happened with the so-called "Binghamton Human Rights Commission". Their goal was to pass a local law which would "Ban racial profiling by Binghamton police". First Problem: NO ONE seems to be able to define what "racial profiling" is! If racial profiling exists, then there should be an objective test or measure for when a particular detention happens, whether it was an example of "racial profiling" or not. However no such test exists ... OR CAN EXIST! It's like going to a scientist and asking her to create an instrument to prove what someone's favorite movie is. That is absurd. She would laugh at you and fall off her chair. This is because there can be no objective measurement or proof of someone's preference. You can change you preference on a whim, at an time. So... if we can't prove that racial profiling even exists, how can we then determine whether a police action is justified? There must be a real victim with a real injury. There must be a complaint from a civilian (making "oath or affirmation"). That is, the complaint cannot come from the government itself. There must be some connection between the accused and the victim's injury. ("Probable Cause"). There you have it in a nutshell. Notice there is nothing about hue mentioned in the Fourth Amendment. In other words, either there IS probable cause, or there is not. SIMPLE! This is an objective definition which can be applied in every case. If there is ANYONE who's rights are being violated by the police, then THIS IS A PROBLEM. I do not see how the skin color of the victim is relevant. I care about ALL VICTIMS of police violence, no matter what their hue. If anyone's rights are violated, this is a problem! I made this meme to explain this point after a conversation I had with my friend David Braun. I hope David has thick enough skin that he can see the humor in this, and doesn't mind too much that I am using him as an example!! I want to work on solutions which will help ALL victims of police violence! This is a little hard when all we are told is that "Black Lives Matter", and that I, being born white, and having "white privilege", I am thus the enemy. I was banned from the Beyond Extreme Energy #BXE listserve about a year ago. Why? Because someone (whom I believe was Jimmy Betts) was posting photos to the BXE Facebook page of "Black Lives Matters" protestors in California who had shut down a highway. I asked, "What does this have to do with fighting pipelines?" and, "Can we please stay on-topic?" Almost everyone on the #BXE listserv attacked me, called me racist, and said this had already been decided that they would support the Black Lives Matter movement. I said, "This is not a way to build a winning movement. We need everyone included to fight these pipelines. This is called the Big Tent approach to organizing. (h/t Adam Flint). The more we engage in off-topic discussions or show support for unrelated causes, the more we make the Big Tent SMALLER. I was on a BXE call with someone from Ohio who was uncomfortable with BXE pushing a climate change agenda. I personally believe in climate change, and think it is our greatest threat humanity has ever faced. But the fact remains, that there are people who do not believe in human-caused climate change. Should we require belief in climate change as a litmus test to help BXE fight pipelines? No of course not. We need everyone included. "Black Lives Matters" is confronting a very important social issue. But it is a controversial group, in their framing and their tactics. I discuss the problems I have with this framing elsewhere in this essay. And there are many important issues of the day: GMO's, Animal Rights, Free Trade Agreements, Flouride, Charter Schools, Vaccines, etc., ... none of which have anything (directly) to do with pipelines! Doesn't it make sense to restrict the focus of a group called "Beyond Extreme Energy", which is ostensibly focused on fighting fossil fuel infrastructure, to... um, I dunno, how about "getting beyond extreme energy", and thus stay on-topic? This is what I asked. After a very short discussion, they banned me! These are some of our great progressive leaders of our day (allegedly). Margaret Flowers, Kevin Zeese, Ted Glick. Our great leaders refused to discuss my concern, dismissed them utterly, refused to allow me to participate in the decision-making process, and now refuse to allow me to participate in #BXE actions by banning me from their listserv. WTF. Why? Because I asked them to stay on-topic? Because I refused to agree to their demand that I accept the biological theory or race? If you study the history of successful social movements, you will find they are often infultrated by members of the government, the police, FBI, spy agencies, or by industry representatives, and their leadership is replaced, marginalized, attacked, or neutralized, and the ranks divided. I have never seen any issue which has so divided our (so far) very successful climate movement, than race. Are these people shouting racism, banning people like me from groups and lists, and from participation, because they do not agree to support their divisive ideas about racism, are they agent provocateurs. sent to infiltrate our groups, divide and conqueror, and neutralize our effectiveness? They might as well be working for industry. Note Well: I AM NOT DENYING that dark-skinned people have suffered worse in the jails and the criminal justice system. (although many people accuse me of this). I have been to jail and I have seen with my own eyes that the prison population is disproportionally people-of-color. I am only saying that this is a statistical phenomena only. Skin color is not the root cause to be looking for, nor has anything to do with the remedy. The Law should be Colorblind. Skin color is (and should be) completely irrelevant to the application of law. There is not a special law for whites, and a special law for blacks. The law does not recognize special rights based on skin color. Nor does the law recognize special remedies based on skin color. The law IS and should be colorblind. Using imprecise language leads to confusion. I believe the source of this confusion begins with the language we use. (I have written a lot about how the English word "Love" is pure confusion. I try to avoid using that word for this reason). So you all are free to use whatever language you'd like. My objective is to reduce the violence in the world, and this IMO requires use of clear language. My goal is to reduce or eliminate violence. IF we define the real underlying problem behind "racism" as really being hatred, we can see that MANY people who are most vocal accusing people/institutions of "racism" are really themselves filled with hatred. "Racism" is a problem which can not be solved. If we ask "how do we solve the problem of Pink Elephants?" This is a little hard to answer, because Pink Elephants do not exist! Again: the frame of racism is based the fiction of race. We cannot solve a fictitious problem! which are based on fictions. Yes skin color exists, and so does hatred. We cannot change someone's skin color. So are we stuck? No, because the REAL ROOT CAUSE, hatred, CAN BE CHANGED! Let us recognize that we cannot change our skin color, or that of others. What we CAN CHANGE is our attitudes about such. OK, How do we solve hatred? The "racist" whites hate dark-skinned people. The people shouting "Racism!" (of all colors) hate the light skinned racists who hate the blacks. Let's see, what happens if we add Hatred + Hatred = ??? Answer: we get just more of the same. I do not see this as any improvement in the situation if our goal is to reduce or eliminate hatred (which the precursor to violence). first within our own hearts and minds. If we use imprecise language (calling hatred "racism", when race itself does not exist) then the people shouting "RACISM!" may never see or confront the hatred in their own hearts, which not only is not improving things, but making the wound deeper, the separation wider. My strong belief, motivated by my study and practice of Yoga and Buddhism, is that the CURE / SOLUTION for what we call "Racism" (which is really hatred), is COMPASSION. Compassion naturally flows from a VISION of all the world's people, of many different hues, religions, genders, etc. as being ALL ONE RACE: Human. From this cultivated vision of oneness, flows compassion, which is the cure for hatred. Step three: Cultivate a vision that we are all one HUMAN RACE!